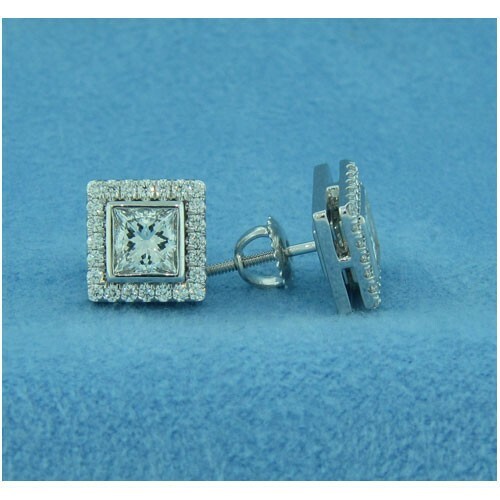 Center diamonds are NOT included. 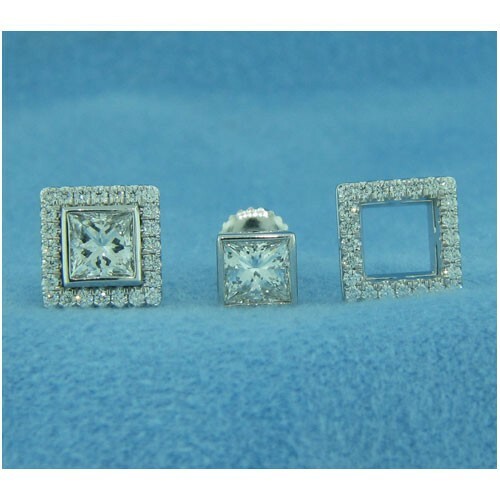 Centers shown are 0.70ct each Princess Cuts. 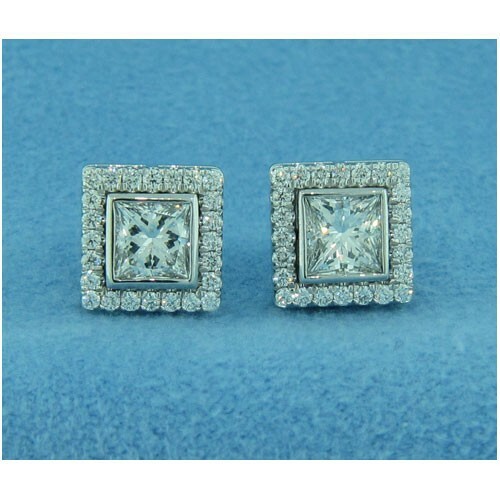 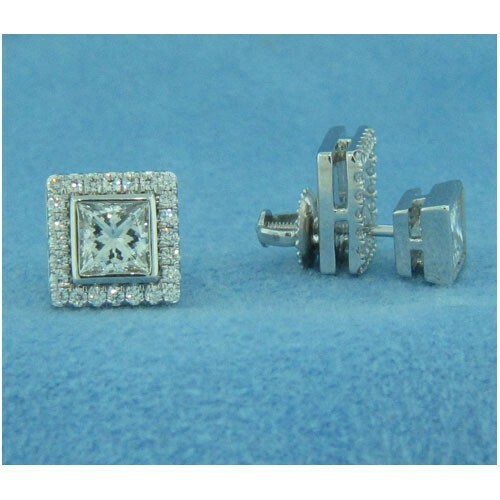 14Kt White Gold Removable Diamond Jackets for Princess Cut Studs TW 0.37cts.